Börsch-Supan holds a Ph.D. in economics from M.I.T. and was Assistant Professor of Public Policy at Harvard University. 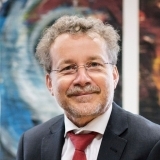 Since 2011, he leads the Munich Center for the Economic of Aging (MEA) at the Max Planck Institute for Social Law and Social Policy in Munich and the Survey of Health, Ageing and Retirement in Europe (SHARE). He is member of the German National Academy of Sciences Leopoldina, the Berlin-Brandenburg and the Austrian Academy of Sciences, Research Associate at the National Bureau of Economic Research in Cambridge, Mass., and member of the MacArthur Foundation Aging Societies Network. His policy consulting includes: Council of Advisors to the German Economics Ministry (chair 2004-08), German Federal Governments’ Expert Group on Demography, German Pension Reform Commission, EU Commission, OECD, and World Bank.